Rabat - As the dispute over the Western Sahara is still ongoing between Morocco and the Polisario Front, the kingdom is fully committed to get its territory back at whatever cost. 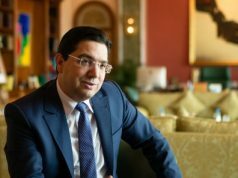 Rabat – As the dispute over the Western Sahara is still ongoing between Morocco and the Polisario Front, the kingdom is fully committed to get its territory back at whatever cost. The following timeline showcases some of the key events of Western Sahara’s history, from the Spanish colonization in 1884 to UN Envoy Horst Köhler’s appointment in October 2017. Spain defeat the Moroccan army in the Tetouan war. As a result, Morocco was forced to pay a monetary reparation to Spain and cede part of its southern and northern territories to Madrid. As part of the deal it imposed on Morocco, Spain was allowed to establish a trading post in southern Morocco. For about 20 years, Agadir and Cap Juby, present day Sidi Ifn were among the Moroccan locations considered in the deal with Spain. But Spain’s changed in 1879. English businessman Donald McKenzie establish a trading station in Cap Juby. Immediately after this British attempt to set up a foothold in southern Morocco, Spain moves to establish multiple trading stations south of Cap Juby, in present day disputed Saharan territories. To give a legal cover to its presence there, Spain starts signing treaties with tribal leaders. January – At the Berlin Conference, Spain informs European powers that it has acquired sovereignty over the region extending from the Oued Draa to Cab Boujdor. European powers acquiesce to the Spanish claims of sovereignty based on the assumption that the territory claimed by Madrid was terra nullis (no-man’s land). Moroccan-Spanish Treaty – Morocco and Spain sign a treaty that includes the Sakiat El Hamra region within the southern zone of Morocco. France and the Great Britain sign a treaty which states that Western Sahara is an integral part of Morocco. April – France and the UK sign an agreement giving Paris control over Morocco, in exchange of the renunciation of its claims over Egypt. Article 3 of the secret accord signed between the two countries stipulates that France can not give the Sahara in full possession to Spain, but rather as part of its spheres of influence in Morocco. October – France and Spain sign an agreement to divide their spheres of influence in Morocco without informing the kingdom or seeking the approval of Britain, which had signed an agreement recognizing Morocco’s sovereignty over the territory. In addition, France disregards the agreement it signed with the UK in April of the same year, under which it was supposed not to cede full possession of the Sahara to Spain. The Agadir Crisis, or the Second Moroccan Crisis – Seeking compensation after Spain and France divide Morocco’s regions between themselves, Germany sends a Panther gunboat to Agadir Bay. France strongly condemns Germany’s move, as it was looking to colonize the central part of Morocco. France and Germany solve the situation when Germany states that it has no territorial aspirations in Morocco, giving France the go-ahead to establish a protectorate. In compensation, receives a large piece of territory in French Congo as a colony. March 30 – Morocco’s Sultan Abdelhafid signs the Fez Treaty with France, allowing the French army to make Morocco a protectorate. After years of resistance against Spain and France, Morocco gains back its central and northern territories, including Tangier. Morocco claims sovereignty over Western Sahara, but Spain refuses to withdraw forces from the the region. Morocco and Spain sign the Treaty of Angra de Cintra, allowing Morocco to recover part of its southern territories, including Tarfaya and Tan-Tan, after resistance operations conducted by the Moroccan Army of Liberation against Spain. Late King Hassan II ascends to the throne after the death of his father, Mohammed V, who had ruled Morocco since 1927. Morocco asks the United Nations Special Committee on decolonization to include the Sahara issue in its agenda, urging Spain to return the southern region to Morocco. June 30 – Spain and Morocco sign the Treaty of Fez amid international pressure, allowing Morocco to acquire the Sidi Ifni region. King Hassan II establishes the Royal Advisory Council for Saharan Affairs (CORCAS), an advisory committee to the Moroccan government in the Western Sahara. May – The Polisario Front is established with the goal of putting an end to Spanish colonialism in the territory. In the early years of its creation, the idea of establishing an independent state in the Western Sahara was in the plans of the Polisario. The UN General Assembly adopts resolution 3292 asking for an Advisory Opinion from the International Court of Justice (ICJ) to determine the historical ties between the Western Sahara, Morocco, and Mauritania. October 16 – The ICJ Advisory Opinion says that Oued Eddahab and Sakiat El Hamra were not terra nullius (no-man’s land) during Spanish colonization, as there were ties of allegiance between the Sultan of Morocco and the resident Sahrawi tribes. October 22 – The UN Security Council calls for “peaceful negotiations” between the parties to resolve the dispute over the Western Sahara, in accordance to resolution 377. 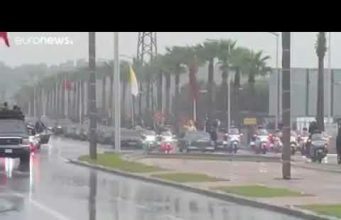 November 6 – In a monumental speech, King Hassan II calls for the Moroccan people, both citizens and the national army, to participate in the peaceful demonstration dubbed the “Green March.” Also called the “March of Braves,” the demonstration sees 350,000 unarmed Moroccans garther in Tarfaya and peacefully head into the Sahara in order to force Spain out of the southern territories. November 14 – Morocco, Spain, and Mauritania sign an agreement on the issue in Madrid. Spain confirms its intention to decolonize the Western Sahara, handing the territory’s administration back to Morocco and Mauritania. Spain withdraws its forces from the country. Algeria starts receiving separatists from the region in refugee camps set up in the Tindouf province. The idea of establishing an independent state becomes the mantra of the Polisario after receiving the full backing of Algeria. The Polisario Front declares war against Morocco after Spain’s withdrawal, starting the Western Sahara War. February 27 – The self-proclaimed Sahrawi Arab Democratic Republic (SADR) is established. Mauritania withdraws from the conflict, signing a peace treaty with the Polisario after an intense armed war. 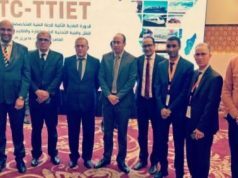 Morocco recovers the Oued-Eddahab region. The so-called SADR joins the Organization of African Unity (OAU). Two years later, Morocco withdraws from the organization, condemning SADR’s admission. April – UN Security Council Launches resolution 690 to establish under its auspices the United Nations Mission for the Organization of a Referendum in the Sahara (MINURSO). The UN mandates MINURSO to monitor the ceasefire agreement and organizes an independence referendum by local people (the Settlement Plan). 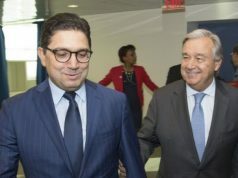 July – The UN forms the MINURSO Identification Commission to oversee the referendum, which has since been continually postponed due to conflicts between the Polisario and Morocco over who has the right to vote in the referendum. September 3 – King Hassan II addresses a letter to UN Secretary General Javier Felipe Pérez to take “urgent measures so as things get back to their initial situation, including the removal from the territory of these armed gangs,” referring to the Polisario. September 6 – The UN brokers a ceasefire in the region after King Hassan II’s letter, ending the Western Sahara War. March 17 – US diplomat James Baker is chosen as the Personal Envoy of the UN General Secretary to Western Sahara. September 16 – The Houston Agreement: Morocco and the Polisario Front hold negotiations on the organization of a referendum which would determine whether the Western Sahara would become independent, semi-autonomous, or fully integrated within Morocco. July 23 – King Mohammed VI ascends to the throne upon the death of his father, King Hassan II. UN Envoy James Baker presents Baker Plan I, a proposal supporting the territory’s autonomy under Moroccan sovereignty. Morocco endorses the plan, while Algeria and the Polisario strongly reject it. Baker updates the first version of his plan, coming up with Baker Plan II. 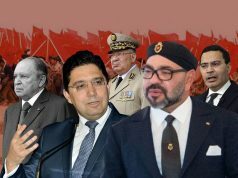 The proposal states that the disputed territory will be autonomous under the sovereignty of Morocco for a five-year period, to be followed by a referendum in which all people living in the territory would cast their vote. The plan offers voters a choice between integration into Morocco, independence, and autonomy. June 11 – James Baker resigns after he fails to find a viable solution to end the conflict between Morocco and the Polisario Front. July 25 – Dutch diplomat Peter Van Walsum is appointed the new UN Personal Envoy for the Western Sahara. 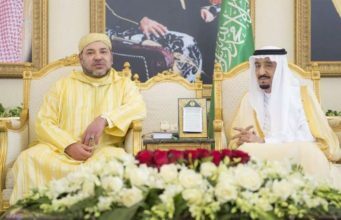 March 25 – King Mohammed VI makes his first official visit to the southern provinces. April 5 – The King sends a letter to the Secretary General reiterating Morocco’s commitment to a political solution. Morocco informs the SG of a project called Morocco’s Autonomy Plan, intended to solve the Western Sahara issue. Morocco’s plan seeks to offer the local Sahrawi population self-governance under the sovereignty of Morocco. October 31 – The adoption of resolution 1783 by the UN Security Council, which welcomes for the second time “Morocco’s serious and credible efforts to move forward to resolving” the conflict over the Western Sahara. January 1 – US diplomat Christopher Ross is appointed the Personal Envoy in the Western Sahara. April 10 – Morocco sends letter to the UN SG stating that Polisario is violating the 1991 ceasefire agreement, after some 1,400 people of the Algeria-backed Polisario cross the border from Algeria into a closed military zone and fire shots in the air. 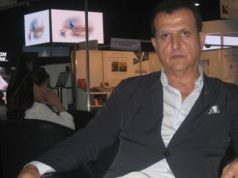 August 9 – Mustapha Selma Ould Sidi Mouloud, the former Polisario Inspector General of Police, announces his support for Morocco’s Autonomy Plan. 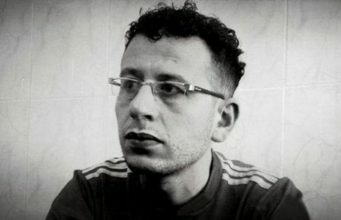 September – Sidi Mouloud is kidnapped at the entry of the Tindouf camps. 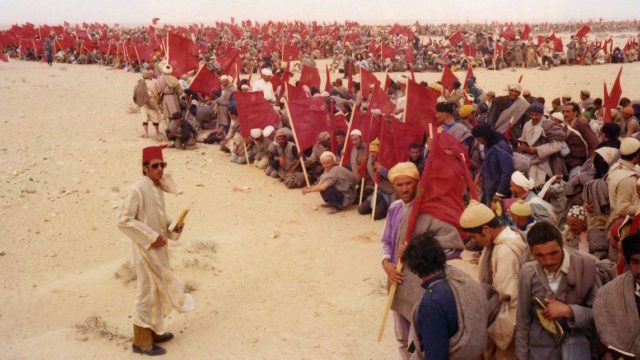 October 9 – A group of Sahrawis set up tents on the outskirts of Laayoune, called the Gdim Izik camps, to protest unemployment and lack of opportunities in the city. Government authorities intervene peacefully to urge them to leave the camp. November 8 – Moroccan authorities move to the camp, peacefully try to dismantle its to impose respect for the law and to preserve public order. 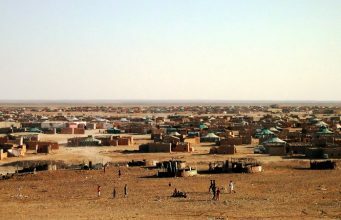 A group of the camp’s inhabitants began leaving the camp voluntarily, but some Polisario members respond with violence, as a paramilitary militia assaults the security officers with stones, propane tanks, knives, and swords. The group continues its attack, harassing the government forces as they dismantle vacant tents. Upon their return to Laayoune, the militia continues their attacks. The brutal reaction of this group results in the deaths of 11 Moroccan law enforcement officers and one firefighter. An addition 70 people are injured and public property suffers damage. The European Parliament adopts a resolution on Sahara condemning the violence in Gdim Izik. 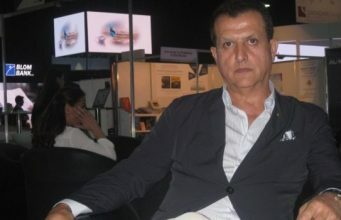 The Chilean Minister of Foreign Affairs, Alfredo Moreno Charme, says that the so-called SADR can not be part of the UN, because, according to international law, recognition of any state depends on the conditions to meet the constituent elements of the state entity, which the SADR does not. March 30 – French Prime Minister Alain Juppé renews his support for Morocco’s Autonomy Plan. Morocco questions role of UN Envoy Christopher Ross and accuses him of bias towards the Polisario Front and Algeria, withdrawing its confidence in his abilities as a credible mediator. April – Susan Rice, the US ambassador to the United Nations, circulates a draft resolution on Western Sahara calling to expand MINURSO to include the monitoring of human rights. The resolution draws the ire of Rabat. King Mohammed sends its envoys to China and Russia and calls on the members of the Security Council to refrain from derailing the political process initiated in April 2007. 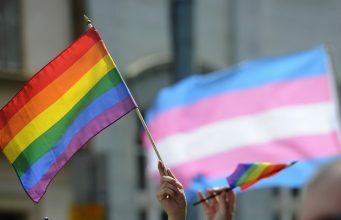 After unprecedented backdoor negotiations in different capitals, the language of the draft resolution on human rights is dropped. King Mohammed VI delivers a speech urging the UN to find an urgent solution to the Western Sahara conflict. France renews its support for Morocco’s Autonomy Plan. January – Morocco rejoins the African Union after a 33-year absence, due to the admission of the SADR in 1982. March – UN Envoy Christopher Ross submits his resignation after failing to solve the Western Sahara issue. April – UN Security Council adopts Resolution 2351. The resolution renews emphasis on the need for the parties to work towards achieving a political and mutually accepted political solution. The new resolution re-establishes the preeminence of the Moroccan approach to finding a mutually acceptable political solution to the conflict. With the exception of Resolution 2285 (2016), all resolutions adopted since 2007 have welcomed the efforts made by Morocco towards achieving a mutually acceptable political solution. September – United Nations Secretary General Antonio Guterres, appoints Horst Köhler as his Personal Envoy to Western Sahara. October 18 – Horst Köhler conducts his first visit to Morocco and meets with King Mohammed VI in the Royal Place in Rabat.